At Montessori Start Inc., each child is respected as a unique individual. 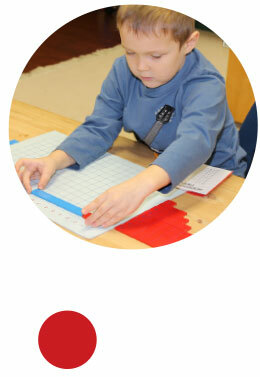 As educators, our role is to help children develop and maintain a high self esteem while facilitating a positive learning environment within the Montessori classroom wherein the programming, furnishings, Montessori apparatus and toys are age appropriate and utilized to meet the needs of the individual child. Our disciplinary practices are based on empathy and respect for children and their parents. If a child chooses behaviour that is unacceptable, cause for concern, endangers the safety or moral tone of the other children, displays resistance to authority or is non responsive to efforts to modify his or her behaviour, our policy is to engage in a corrective approach which is positive and aims to keep the child’s best interest in mind. Our staff must nurture, comfort and assist the child as we guide him/her toward acceptable behaviour. Additionally, as we are committed to the principle of inclusion and anti-racism, our policy of acceptable behaviour management practices supports a culturally appropriate, racially sensitive and non-discriminatory environment for the children in our care. All staff will be expected to treat children with respect and utilize positive teaching methods that aim at maintaining the child’s self esteem at all times. Teachers are expected to speak to children using a calm tone of voice at all times. Teachers will observe the child to recognize patterns or changes in behaviour that may be cause for concern, endanger the safety or moral tone of the other children, displays persistent resistance to authority or non response to efforts to modify his or her behaviour. Teachers will notify the Supervisor/Principal of any student whose behaviour represents any of the above conditions. Parents are notified of any behaviour concerns and a meeting is arranged between the Supervisor/Principal, Teacher(s) and Parents to consult on next steps which keep the best interest of the child in mind. This provision forbids corporal punishment and sets out other prohibited disciplinary practices in order to protect the emotional and physical well-being of children in the care of Montessori Start Inc. according to the Day Nurseries Act, 1990 (s.45). Our disciplinary practices reinforce these goals by setting out clear prohibited behaviour management practices and acceptable behaviour management practices. In compliance with the Ministry of Education licensing requirements, any serious occurrences involving children, staff, volunteers or student teachers will be posted on school bulletin boards for parent review.